The Safety Banner Programme that Jesse Smith and Lee Schwendinger introduced at Concentric Rockford in 2012 encourages employees to take a more proactive approach to workplace health & safety and recognises them for their achievements. The result has been a steady and sustained improvement in the site safety record. Interview with Jesse Smith, VP and GM for Concentric Rockford, and Lee Schwendinger, HR Manager at Concentric Rockford. What is the link between sustainability and health & safety? Jesse: I think a big part of working sustainably is maximising the wellbeing of our employees – for me the link is crystal clear. If our employees come to work with 10 fingers and 10 toes, we want to make sure they go home with 10 fingers and 10 toes. We've worked hard to develop a strong safety mind-set here in Rockford, and we're very proud of that. Lee: For me, sustainability means no waste. And injury is a form of waste – for example, wasted production time, the need for replacement workers and all the additional resources required to take care of any injury. Making safety the first priority not only shows we care about our employees, it also makes good business sense. The consistent message we communicate to employees is: Safety is first, then Quality, then Production. You have a number of best-practice initiatives at Concentric Rockford to improve health & safety. Can you tell us a bit about them? Jesse: The most important thing, I think, is that we have fostered a culture in which all employees feel empowered to speak up if they see potentially unsafe practices. We believe that problems are most easily fixed by those who are closest to them. We've made it very easy for anyone to report an issue and quickly see it resolved. Any employee can enter a work order advising maintenance about their concerns. 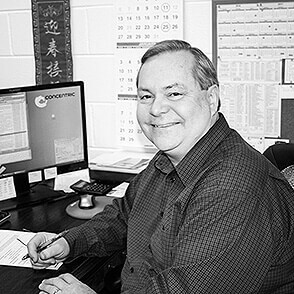 In addition, our department-level health & safety teams have the power to make changes quickly as required. Lee: Every day our production employees get safety reminders and updates at their Lean Daily Management System meetings. We have a Safety Steering Committee that meets twice a month to discuss current status and potential improvements. The health & safety teams meet once a month, and we rotate the members so that as many employees as possible have the opportunity to contribute to safety planning and action. Jesse: Another activity I would like to highlight is Safety Month in June. At first it was just a week but it became so popular that it developed into a full month in which we raise awareness about workplace safety issues. The agenda includes health & safety training, visits from Shoe Mobile (safety footwear), safety drills in the event of a disaster like a fire or storm, and much more. And what about the Safety Banner Programme – what's that all about? 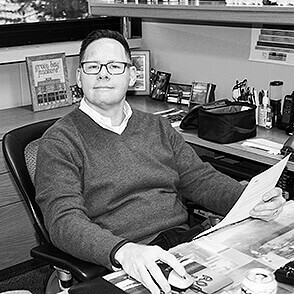 Jesse: I got the idea for it when I visited a Toyota plant in Columbus, Indiana, that had won Industry Week Magazine's Best Plant Award after adopting a safety banner initiative that had led to huge improvements. So I had the Safety Steering Committee adapt the idea to suit the Rockford plant. Lee: It's a fantastic programme that provides team recognition and encourages employees to have a sense of pride about their work and how they focus on safety. When we introduced it in 2012 we noticed a dramatic change in attitude and behaviours toward safety almost immediately. Previously we focused on 'lost-time incidents' but now the focus is on reducing 'recordables,' which is a much broader concept. The result has been a steady and sustained improvement in the site safety record. Sounds like a great idea. How does it work? Jesse: Teams of employees are rewarded for consistent periods of safe working with no recordable incidents. The definition of a recordable incident is based in Occupational Safety and Health Administration's (OSHA) guidelines and in very simple terms it is defined as an injury that requires treatment beyond first aid or requires prescription medication. There are five levels of achievement: Bronze (500 hours with no recordable incidents), Silver (1,000 hours), Gold (2,000 hours), Platinum (4,000 hours) and Diamond (10,000 hours). Lee: When a team achieves Platinum status, it's a big deal for the whole site. We congratulate the team in front of all the other employees and present them with a banner for their work area which shows everyone that they have achieved Platinum status. They also get a cake and each team member receives a fleece jacket embroidered with the Safety Banner Platinum Award emblem. 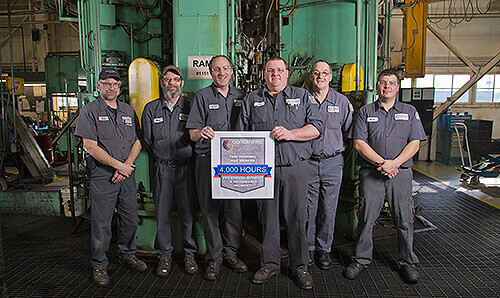 Jesse: The first production team to achieve Platinum status was the Transmission Channel team, which is made up of machinists and assemblers who work across three shifts. They manufacture the largest hydraulic pump in the Hydraulics range – a pump which weighs 150 lbs (68 kg)! Lee: We are very proud of them, absolutely. But I think the best thing that has come out of the Safety Banner Programme is the safety mind-set that all of our teams have adopted, regardless of which level of recognition they've achieved. Safe working practices are just a natural outcome of our employees being proactive about taking care of themselves and watching out for one another. You make it all sound so easy. Have there been any bumps in the road? Jesse: Changing the culture and capturing people's hearts and minds isn't always easy. For example, it can be difficult for employees to understand why we count repetitive motion injuries. Supervisors often have to explain that the quicker the employee reports such injuries, the sooner the repetitive motion can be engineered out of the work process. Lee: Our safety-first approach enables employees to impact the process quickly and nip problems in the bud. That's really important, because when it comes to repetitive motion injuries, we know that getting therapy early can help to prevent surgery later. How do you measure your progress in health & safety? Jesse: We track both recordables and lost-time incidents, and we use OSHA's methods for measuring safety. We track our safety record against other hydraulics manufacturers, and we benchmark well. Lee: I'm confident that our continuous improvement actions in health & safety will push us well ahead of other similar manufacturers in 2016. Watch this space!